This is a great system thats fairly easy to learn and use. I have made a fair bit of profit with it but my local casino moved a profitable wheel and I havent been able to win since. For anyone who has a lot of casinos they live near you can do pretty well. I have this and jafcos vb system (visual ballistic). I added a review on that one too. Masters roulette is pretty good. Its not a scam like almost all systems. It is not really hard to use. It might be for some people. Its more about getting it right and finding the wheels you need to play on. 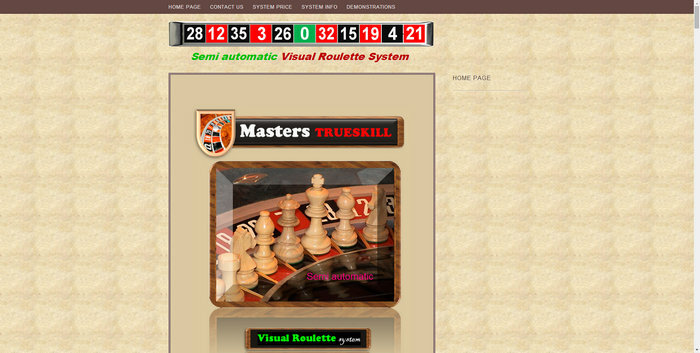 Visual ballistics like masters roulette has been around for a while and the casinos know about it which makes winning with the late bets hard to do. I have won with this system. I dont mean a win here and there. I mean good long consistent wins but I havent been able since to find a wheel it works on. Its not that the casino were onto me because I was only betting small compared to others on tables and the casino would have been watching them and not me. For now I use a version of my own with some progression but if I find more ideal wheels I will revert to using this or jafcos system. Like I said they are both pretty similar. I like this system because its quite simple and works. You have to choose the wheel carefully and the processes take a bit to master but its not too hard. I dont use it anymore at least not fully but I use a part of it in combination with my own version. I have been using the dealer signature strategies contained in this quite successfully, I recouped my investment within a couple of days by playing the DS methods using a 17 number strategy, winning more spins than losing. There is definitely potential to get more accurate and not have to bet so many numbers, or to increase bet sizes, so it’s very exciting. And I am still to learn the VB strategies too! Also the email support is first class. 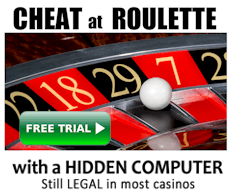 Finally someone who has cracked how to beat roulette for real AND is willing to help people like me learn and do the same. 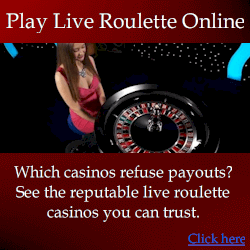 This is not a get rich quick scheme, you have to work at it and it does take a bit of brain power to understand, but if you are serious about making money at roulette I believe this is what will help. It took me too long to realise people are right when they say the only way to beat roulette is with physics and maths – if you’re still not on board with this, then get on board because all the non-physics systems out there are not the answer!